'Criminal' #3 is one of this week's best books. If you're not reading this comic then you're the criminal. 5 Stars. 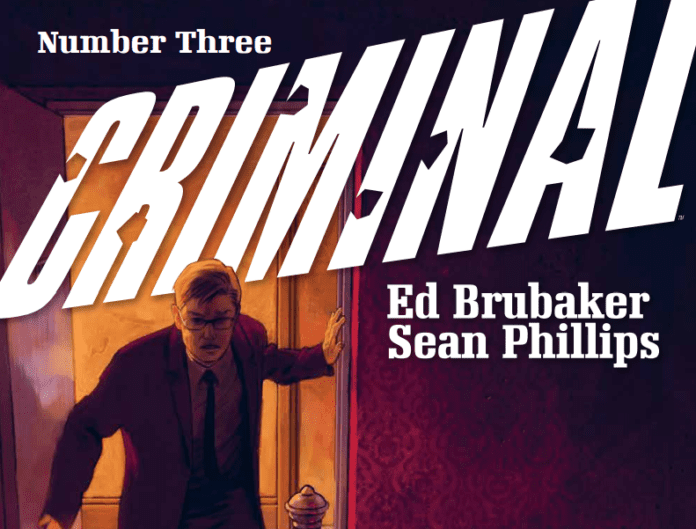 Criminal #3 by Ed Brubaker, Sean Phillips and Jacob Phillips brings the crime and comics two-parter ‘Bad Weekend’ to an especially moving, resonate and emotional close. Jacob’s long weekend taking care of his old boss and mentor, comic artist Hal Crane, takes a surprising, final turn. Criminal #3 wraps up ‘Bad Weekend’ and without a doubt solidifies it as yet another classic story in the ever-growing Criminal world. The issue reads fast, but still packs a mean punch of emotion. 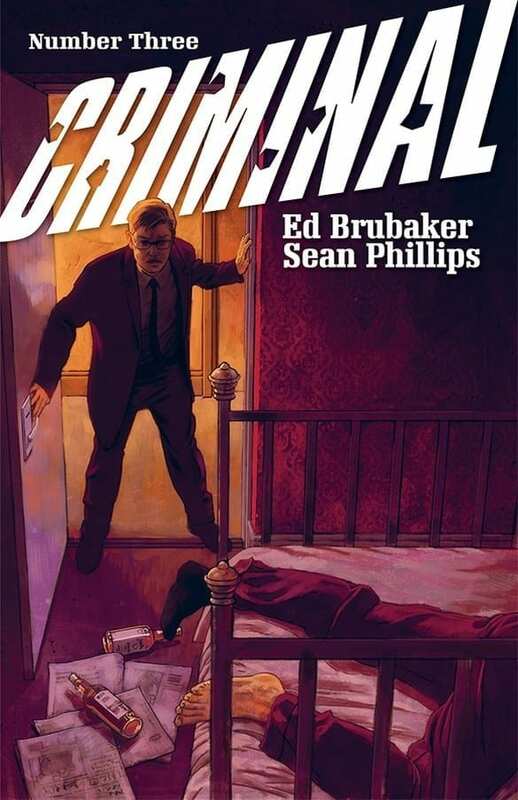 Brubaker again shows readers why he may just be the modern master of the first person narrative in comics with a resonate and emotional series of narrations by protagonist Jacob that humanizes and softens much of the behavior we saw from Hal Crane in issue two. 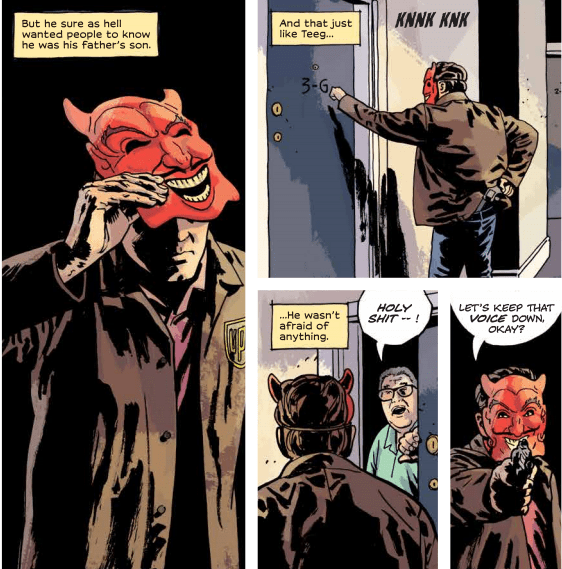 Brubaker always layers his characters and the more we find out about them the more part of us feels for them, even when they might be very bad people. Hal Crane is a vindictive, bitter old man. Jacob is a man on the run from his past. But both are also much, much more. And paired up together, they put up a lens the reflects and magnifies each character in ways only a master writer could achieve. Brubaker knows Criminal fans like to see callbacks, and we get an excellent one with an extended Ricky Lawless appearance. The Lawless family features heavily into the world of Criminal and seeing Ricky pop up was a highlight that leads to some of the issues best moments. Sean and Jacob Phillips are a perfect art team. What they create has evolved into a completely unique style that both is grime and elegance. Sean can draw both a punch and a weep with equal impact. Jacob’s colors create an enveloping atmosphere. This issue is filled with normal locations, but the art team is so great, they make it seem almost otherworldly. The way they create light and how it bounces is mesmerizing; you’ll never see a better ‘smokey room’ illustrated anywhere. If this book is about looking into the underworld that exists right below us, then this is the perfect art team for it. Again, grime AND elegance.